In your home there are always little bugs and mites that can be harmless but there are also plenty that can cause serious problems and damage. They like to make home in areas that are made from softwood or European hardwoods. These usually involve birch and plywood and are usually old furniture like cupboards, drawers and backs of surfaces as well as access areas to lofts and under the stairs. 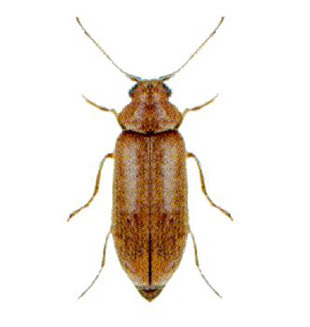 To recognise the common house beetle you will see that they are always between 3 and 5 mm long. As it is the colour of dark brown they are often difficult to notice amongst furniture and have lines of pits along their wings. They are most common in your home in the season of late March to the start of September. 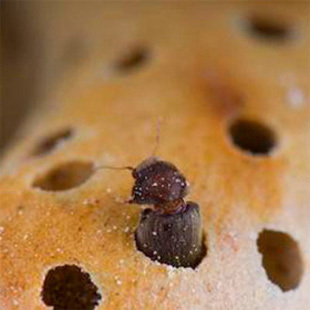 When they reproduce they create lava or up to 6mm long which comes in a pale cream colour. For 3 to 5 years they stay this colour and size before they turn into adult beetles and start to create lemon shaped faeces. 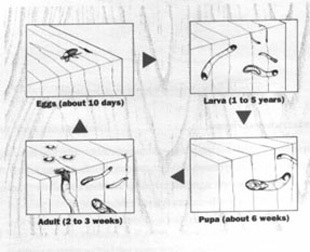 The main habitat for beetles is in the sap and hard wood around your home. Being most commonly found in England and Wales and not yet found in Scotland and effect stately homes, churches and older buildings with damaged wood sources for them to live in. 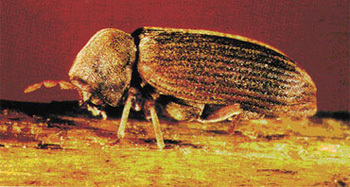 They hold the name Death Watch Beetle because of the tapping noises they create in the early hours of the morning on the wood they are living in. They thrive from damp wood and sources that are already decaying so most typically joist ends and timber in the structure. 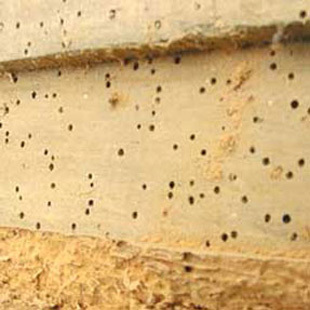 If the beetles come into contact with wet rot they can hollow the wood and create structural damage weakening all of the supports. For more information about your beetle infestation or to get the finest treatments in the industry call us on 023 8032 6500. You need to always be on the lookout for emergence holes in the wood no matter what size they are as they can range from 9mm up.